October 11, 2018 marks a highly anticipated day in Vedic astrology, or Jyotish. 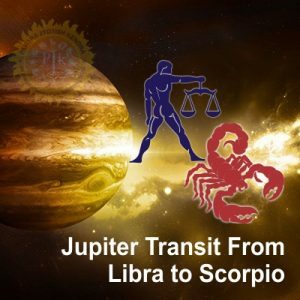 It is the day that the great benefic planet Jupiter moves from Libra into Scorpio. The transit of Jupiter in Scorpio is known as Guru sankranti Vrischika rashi. In Vedic astrology, Jupiter is known as Guru. It is the planet of wisdom, spirituality, fortune, optimism, philanthropy, teaching, generosity, and philosophy. Which ones come to the forefront for you will be dependent on your personal chart. As a planetary significator, Jupiter is representative of children and teachers. Scorpio is represented by the nocturnal arthropod. Scorpio is a water sign, which represents deep sentiment and emotionality. However, still waters run deep with Scorpio dominant people, as they are unlikely to reveal their true feelings. Scorpio is also a fixed sign, reflecting its stubborn, intense, and independent nature. Just like its ruler, Mars, it does not deviate from its target. Scorpio is the 8th house of the natural zodiac. The eighth house signifies ancient subjects, chronic health problems, inheritance, research, psychology, transformation, partner’s money, secrets, and trauma. 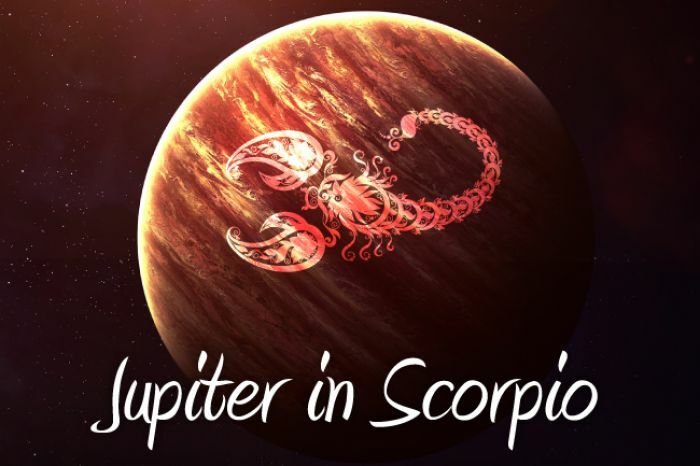 While those in a Jupiter planetary cycle will most feel the effects of Jupiter in Scorpio, we are all influenced by this transit as Jupiter stays in a sign for approximately one year and leaves its mark. In Sanskrit, Jupiter is also known as Brihaspati, the teacher of the Gods. 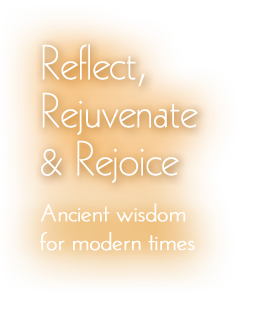 This time with Jupiter in Scorpio can be ideal for studying ancient topics with a learned teacher. Even when Jupiter moves into Scorpio, it remains in the nakshatra of Vishakha. It is the “star of purpose” and is known for single-minded determination on achieving its goal. The focus on the desired target intensifies with Jupiter in Scorpio. Thursday is the day associated with Jupiter, thus spiritual activities done on Thursdays may be enhanced. Jupiter’s transit into Scorpio on a Thursday, as well as during the festival of Navratri, make it a particularly auspicious day. 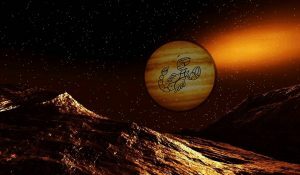 Jupiter is associated with the color yellow, fruit bearing trees, sattvic foods, ghee (clarified butter), raw honey, dates, berries, squash, pumpkin, cream, sugar canes, and garbanzo beans (chick peas). In Vaastu Shastra, it is recommend that your puja or alter be placed in the Northeast corner of your home. You can make offerings to your spiritual teacher with these items or give dakshina, especially on Thursdays. It is also beneficial to chant mantras to the planet Jupiter. Jupiter remains in Scorpio until November 4, 2019. I will post more about Jupiter’s transit on my Facebook page. 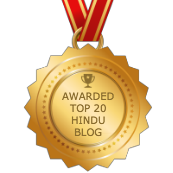 The last time we had Jupiter in Scorpio in Vedic astrology was November, 2006 through November, 2007. Jupiter will not return to Scorpio again until 2030. 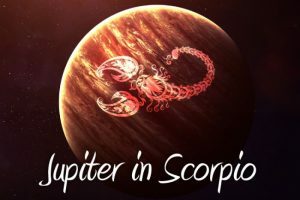 To make the most of the time with Jupiter in Scorpio, consider having a Vedic astrology reading to guide you through this powerful transit.